Laloo Prasad Yadav, former Minister for Railways, has been convicted in the long standing fodder scam case. A Special CBI Court in Ranchi has found him guilty of corruption and criminal conspiracy in the fodder scam, which came to light in 1996.Yadav had been charged with embezzling state funds intended to be spent on cattle fodder while he was chief minister of Bihar. Special CBI judge Pravas Kumar Singh delivered the 475 page verdict in seven parts. The punishment is to be announced on October 3. Yadav along with 44 others have been charged with fraudulent withdrawal to the tune of Rs 37.7 crore on fake fodder bills from Bihar state treasury in the 1990s in a case lodged by CBI. 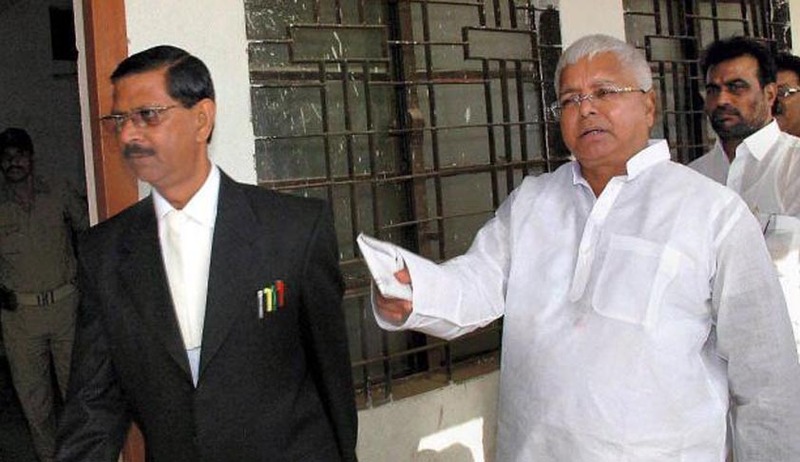 Besides Yadav, other accused persons include former Bihar Chief Minister Jagannath Mishra and JD(U) MP Jagdish Sharma. Yadav, the RJD chief, faces immediate disqualification as a LokSabha member. As per Supreme Court order in Lily Thomas case, an MP or legislator will stand disqualified immediately if convicted by a court for crimes with punishment of two years or more. The government later hurriedly promulgated an ordinance to defy the apex court order. Notably, in 2006, a court had acquitted Mr Yadav and his wife, former Chief Minister of Bihar, in a case of amassing wealth disproportionate to his income.